Greg Henning is the Youth Fitness Manager at Pinnacle Gymnastics. He received his bachelor’s degree in sports administration in 2015 and his master’s degree in sports management in 2017, both from Baker University. 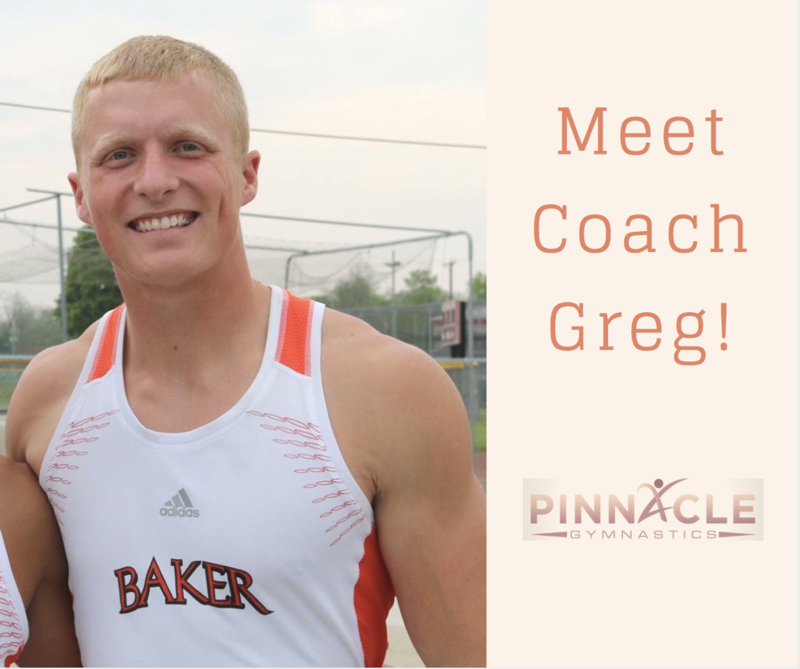 During his college career, Greg was a track and field athlete becoming a multi-time conference champion and national qualifier. While completing his master’s degree, he also was an assistant coach for track and field and cross country at Baker specializing in the jump events and strength and conditioning coaching 3 national qualifiers and 1 all-american. Greg is a USA Track and Field Level 1 certified coach. Joining the Pinnacle staff in 2018, Greg coaches ninja and brings sports performance and athletic bio-mechanics to Pinnacle Gymnastics. Outside of Pinnacle he competes in track and field as a post-collegiate athlete aiming to make the USA National Team. Coach Greg will be coaching, developing the curriculum, and training staff to provide the best ninja training classes possible. His knowledge in multiple sports as well as conditioning and fitness provide a strong foundation for developing an atmosphere of fun and fitness. In addition to ninja classes, Coach Greg will be working with our team athletes to provide customized conditioning workouts to bring out the best in each individual athlete.